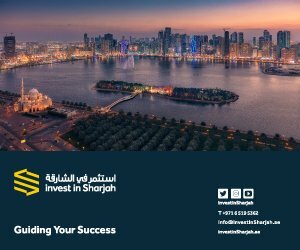 The Sharjah Investment and Development Authority (Shurooq) and Injazat Services announce the establishment of the Sharjah Investors Services Centre, which will operate as the emirate’s first “one-stop-shop” high-end facility providing fully-integrated and streamlined services to investors looking to set up businesses in Sharjah. The new centre, to be headquartered in Al Qasba, will be a key access point for global business owners and entrepreneurs in Sharjah, and will play an integral role in facilitating high-level and mid-level investments across a variety of sectors within the emirate. 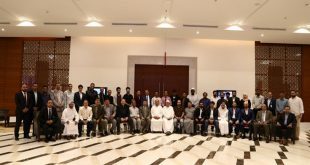 The latest initiative by Shurooq and Injazat falls under the series of innovative ideas and frameworks highlighted by more than 200 representatives of Sharjah’s government sector, during the second Sharjah Forum in 2017, which was titled as “The Future of Sharjah”. The centre is supported by a set of highly trained staff members and service providers who are reinforced by a digitally integrated communication network, directly connected with the emirate’s state entities and departments responsible for issuing licenses and necessary documents related to setting-up businesses, allowing investors to complete their processes with transparency, quality and efficiency. 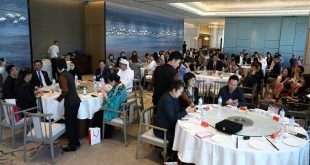 The investors’ centre will also function as an integral information point, providing clear and detailed information on requirements, necessary documents and clear timeline on approval processes, reflecting on the emirate’s commitment to further develop its economy through transparency and high-end business-friendly initiatives. The announcement came after the signing of the memorandum of understanding between Shurooq and Injazat, which took place between His Excellency Marwan bin Jassim Al Sarkal, Executive Chairman of the Sharjah Investment and Development Authority (Shurooq), and Khamis bin Salim Al Suwaidi, Chairman of Injazat Board, and in the presence of numerous representatives from both parties. Shurooq’s specialised role behind the new joint-venture will include facilitating the communication network between the centre and concerned government departments and authorities in Sharjah, allowing the unification of licensing procedures and approval documents in the emirate streamlined to investors through the new centre. Founded in 2009, Shurooq aims to achieve social, cultural, environmental and economic development on the basis of Sharjah’s distinct Arab and Islamic culture and to seamlessly add to the fabric of the emirate. 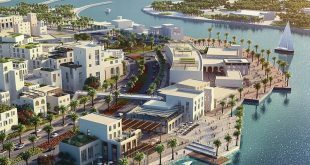 It strives to develop the emirate and encourage investment by adopting the best international standards in providing high-end services that help draw local, regional and international investment.